Moisture locking is not a hard task, however it takes time which most may not have due to hectic schedules. But you invested in your lace wigs or hair extensions and other hair systems. So overtime, you will have to put time in to care for your units. Keeping your lace wigs and other Clip-In Hair Extensions hydrated is key to the extended lifespan of any human hair units. As these typically wigs or hair extensions which have been donated from one person to create your well coiffed human hair lace front wigs is no longer receiving the natural oils that the average human body reproduces to give the ample luster and shine growing from the scalp. Deep Conditioning with Moisture Rich Ingredients By utilizing deep Conditioners containing aloe and protein , as well contain the properties in balancing the hairs ph levels is the essential starting point with deep conditioning . How often should one deep condition their hair systems is based on their everyday activities . It’s suggested to deep condition your units even at the first unpacking of your purchases. 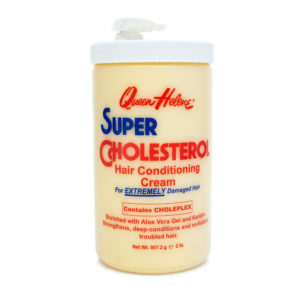 Queen Helene Cholesterol Deep Conditioner – Enriched with hydrating Aloe and restorative Keratin Amino Acid Protein, Super Cholesterol helps prevent breakage, brittleness and split ends, while strengthening hair for lasting vitality with reliable manageability. Washes out easily. Aphogee Balancing Moisturizer – ,it helps protect styles in humidity and is recommended as a regimen for processed hair, dryness and the ends of long hair. Apply on clean hair in shower and rinse to provide and seal in moisture, which is essential for the strength and elasticity of healthy hair. 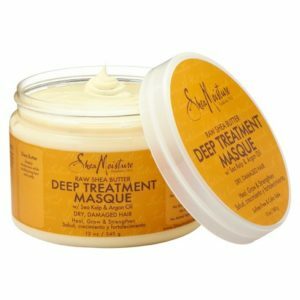 Shea-moisture Raw Shea Butter Deep Treatment Masque – Formulated with certified organic Raw Shea Butter and natural botanicals to restore natural lipids to damaged hair. Dudley’s PCA Moister Retainer – is a concentrated, leave-in moisturizing hairdressing that restores the hair’s natural oils and moisture. This daily lotion is enriched with humectants and creamy emollients that soften and retain moisture in the hair shaft. With several other options in the market – they’re surprisingly affordable : You don’t even have to spend a lot of money to purchase them; this makes them really great as anyone in need of them would be able to afford them. When choosing hot oil treatments to your units . Choose a light serum treatment like VO5 hot oil . These type of re-hydration hair treatments is recommended to be done now and then when noticeable dryness shown in any climate changing season. 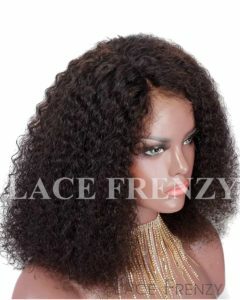 Deep wave , Body Wave ,Slight Wavy Deep Curly -twist plat the hairs and place under a satin bonnet at night time. The same applies to straight texture hairs without twisting the hairs, holding the hair in loosely held ponytail and place hair under satin bonnet. 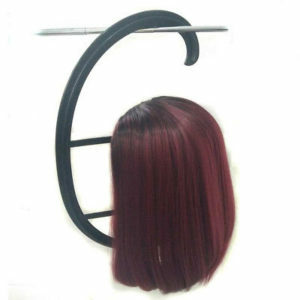 For others who do not utilize wig glues or tapes on their hair systems, resting on a mannequin or wig hanger is ideal. Once a month one may choose the option to opt for a steam treatment for both your growing hair or hair pieces and or lace wigs. It’s key in keeping these lace wigs and bundles hydrated ( that doesn’t mean overly greased/oiled). For beautiful well kept hair systems. This entry was posted in 13x6 Lace Front Wigs, Bundle Wefts, Clip - In Hair Extensions, Fall Hair Care Tips, Full Lace Wigs, Full Thin Skin Wigs, Glue less Full Lace Wigs, Glueless lace wigs, Hair, Hair Care, Hair Extension Care, Hair Extensions, Heavy Density Lace Front Wigs, Human Hair Lace Front Wigs, Human Hair Wigs, Jewish Wigs, Lace Front Wigs, Lace Wigs, Silk Base Lace Front Wigs, Silk Top Full Lace Wigs, Tape Hair Extensions, Virgin Hair Extensions, Virgin Hair Lace Wigs, Virgin Human Hair 360 Frontals with Bundles, Weave Knowledge, Wig Knowledge and tagged 360 frontal wigs, 360 frontal with bundles, clip-in hair extensions, drawstring ponytails, Full Lace Wigs, Hair Extensions, Jewish Wigs, Lace Front Wigs, lace wigs, Men Toupees, tape in hair, thin skin wigs, Weave Care, weave knowledge, wig care, wig knowledge.